Summary: (105) Ichigo Kurosaki has always been able to see ghosts, but this ability doesn't change his life nearly as much as his close encounter with Rukia Kuchiki, a Soul Reaper and member of the mysterious Soul Society. 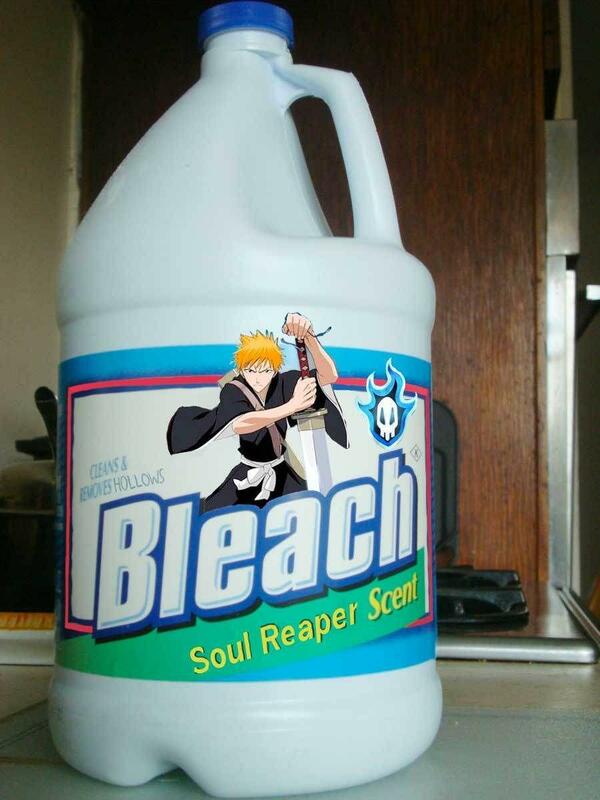 While fighting a Hollow, an evil spirit that preys on humans who display psychic energy, Rukia attempts to lend Ichigo some of her powers so that he can save his family; but much to her surprise, Ichigo absorbs every last drop of her energy. Now a full-fledged Soul Reaper himself, Ichigo quickly learns that the world he inhabits is one full of dangerous spirits, and along with Rukia--who is slowly regaining her powers--it's Ichigo's job to protect the innocent from Hollows and help the spirits themselves find peace. In 2005, Bleach was awarded the Shogakukan Manga Award in the Shounen category. Ichigo Kurosaki has always been able to see ghosts, but this ability doesn't change his life nearly as much as his close encounter with Rukia Kuchiki, a Soul Reaper and member of the mysterious Soul Society. While fighting a Hollow, an evil spirit that preys on humans who display psychic energy, Rukia attempts to lend Ichigo some of her powers so that he can save his family; but much to her surprise, Ichigo absorbs every last drop of her energy. Now a full-fledged Soul Reaper himself, Ichigo quickly learns that the world he inhabits is one full of dangerous spirits, and along with Rukia--who is slowly regaining her powers--it's Ichigo's job to protect the innocent from Hollows and help the spirits themselves find peace. In 2005, Bleach was awarded the Shogakukan Manga Award in the Shounen category. Grew up with the anime and glad to finally be able to fully read it and loved every second, I can’t wait to see it back in anime again.